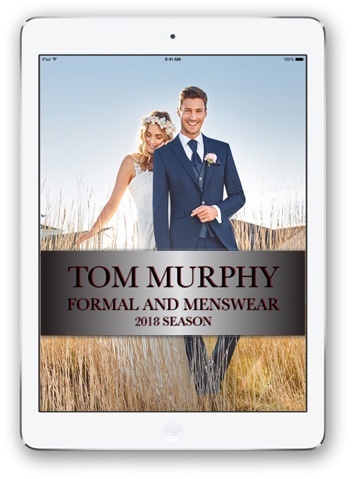 Phone us on +353 21 4272401 or 0894381865 or email for a copy of our digital brochure of our full wedding suit collection. All the latest additions to the range can be seen here. This is the worl,s largest collection of wedding suits digitally available to view.Every type of wedding suit you can possibly imagine can be seen here. Suit hire is only available to wedding parties of three or more although we cater for graduation suit hire,funeral hire and tuxedo hire on an individual basis.Many wedding parties are now choosing to buy a suit for the groom and rent for the rest of the wedding party.If you have a black-tie wedding we have special discount packages available for the guests. Click Here to Browse our Brand New Collection of Wedding Suits to Hire and you will be taken to another part of the site.Please note we only show some of our collection on the site.There are many more styles and colours instore for you to choose from. At this stage Tom Murphy Menswear is known as Ireland’s most famous wedding suits shop and customers travel the length and breath of the country to shop with us.As well as hiring wedding suits and tuxedos in our Cork showroom, we also offer them for sale in our first floor show room or in our online store. For an inside view of how our wedding suit hire department operates click to watch a video. And for more footage of Tom Murphy’s store visit our youtube channel.